Why would anyone write the 56th review of an album? Why even the tenth or fifth review of an album, especially one where the only really good song has been played on the radio continuously for three months? 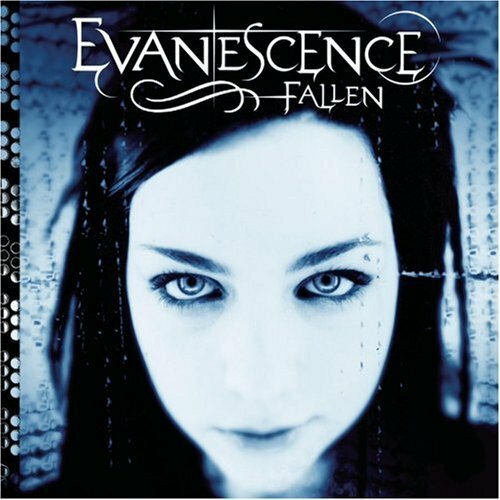 And why has Amy Lee on the cover of Fallen been staring at me from Epinions home page almost as long? Has everybody flipped out? What’s the fuss about? If you think 56 reviews is a lot Amazon.com has, as I write this 57th epinions review, not one hundred, not two hundred, not four hundred, not six hundred but SEVEN HUNDRED AND EIGHTY-EIGHT REVIEWS!!!! Just think if anyone is as gung ho as the idiot that wrote the 788th review they could spend a long weekend reading all 844 reviews, 845 if you count mine. Wouldn’t that be entertaining!!! !Think about all the man hours and emotion that went into all that work. If we could bottle all that energy we could be the most dynamic country in the world, but we’d need to bottle some common sense too!!!!! I know why I’m writing the 57th review of Fallen. Someone has to look beyond the hype and look objectively at this album and what, I think, it represents. Ok, so let’s start with the album. I know, by now that some of you are really mad at me for bashing your current favorite album. I know you like it and that’s fine, 31 flavors and all that jazz, but hear me out. I bought Fallen too, so I guess you you could say I fell for Fallen also. That is til I got it home and played it a time or two. It was then that I realized that It didn’t hold a candle to music I already had. I was attracted to it because of it’s femme gothic-metal tendencies and I’ll grudgingly admit it is a good album but not great and certainly not deserving of all the acclaim it has received. So tell us Red Rider, What do you have that’s so much better? I’m getting to that but first I want to tell a little story. Our esteemed colleague Vanwarp has a teenage daughter and son and they did a very interesting exercise, whereupon he and his children each burned a ten track CD rom of their chosen favorites for the other two family members to listen to and outlined the ten songs each that were chosen. I was surprised, no shocked, to see that all their tastes were somewhat compatible. Not so in my family. I too have a teenage son and daughter. My son thinks that anything that is played on the radio is craap, and my daughter thinks that if it hasn’t made the FM play lists it lacks credibility. That is the point I am trying to make. Most people in America think like my daughter. No radio, no credibility. I, on the other hand, have begun to think the opposite. Radio play is like a negative role model. Although a good song occasionally slips in on alternative or top 40 radio, I still think the best stuff isn’t being played but that may change thanks to the unabated popularity of Evanescence. Hey man, what about the better stuff? I’m getting to that. Soon I promise. Ok now let’s talk about what Evanescence success represents. I am very happy that Fallen has been a blockbuster. I believe it provides a little crack in the wall of misconception surrounding the Femme Goth-metal sub genre. It provides some handholds for similarly inclined musicians to climb into the spotlight. The popularity of Fallen is going to create a demand for more Goth-metal music and where can it come from in the short term but the hot spot of the Goth-metal scene; Europe. Within Temptation, whose hit album Mother Earth has been having strong sales in the U.S. and whose phenomenal singer Sharon den Adel dwarfs Amy Lee. In closing, to all those die hard fans of Evanescence, I have this to say; Don’t hate me I’m just expressing my opinion and GET A LIFE!!! There just might be something better around and oh yah, Norah Jones too while I’m at it!!!! I’d rather Be tongueing a Platypus!!!!!! I will post links of the three Femme Gothic-Metal bands I’ve reviewed and a list of similar bands below. I know it’s the usual procedure to write something about the music but since I wasn’t really writing about the music I have dispensed with this procedure. If this disappoints anyone, let me remind you. There are 56 other Epinions reviews available, which I’m sure actually cover the music. Two week update It has been fourteen days since I posted this review and cooler heads seem to have prevailed at Epinions. There is only three new Evanescence reviews and they were all written by newbies. Amazon though is another matter. It seems the idiocy is running rampant. They are now up to 862 reviews an increase of 74 or 5.28 reviews per day. One month update It is now 34 days since this review was originally posted and Epinion reviews have picked up a bit with 7 new reviews in the twenty days since my last update, which brings the total to 66 and I see I received an off topic from one of the seven new review people. Probably felt silly after reading my review. Meanwhile Amazon is still chugging away with 927 reviews, opps, make that 928 reviews, err, I mean 929 reviews. Amazing, but they still have a long way to go to catch N Sync which has 1756, no it’s not a misprint, reviews. Forty-seven day update I don’t know when it happened but we’ve eclipsed the thousand mark. We are now at 1014 and counting. I don’t know how many days update I know, it’s been a long time but I just had to do this update. Remember I joked about how Fallen had a long way to go to catch N’Sync with their 1756 reviews. Well as of 10/4/04 Fallen has 2138 reviews and counting! Think they could hit 5,000? Just so you know Amazon.com now has 2.438 reviews on Fallen. I know because I just read every one of them! September 5, 2007. CDs, fan, Goth, Iconic, Music, overated, Overzealous, review, reviews, rock concert. Leave a comment.